World’s best link to prepare you for Halloween! This site has mini-biographies of women along with suggestions of where to buy costume items if, like me, you stink at making stuff (or if, like me, you put off making stuff until the last minute and then you don’t have time). There’s also do-it-yourself tips for the craftier people among us (Hi, Mom, thanks for making my Regency dress this year!). The list of women profiled is lengthy and diverse. The categories are Glamour Grrls, Notable Women, Queens, and Goddesses and Legends. Some of these women are well-known and some are not – all are fascinating! This site is a great resource for anyone who wants to learn more about women in history, whether you like playing dress up or not. Be sure to check out the blog in addition to the costume ideas. It’s funny and informative and entertaining and creative. Have fun! 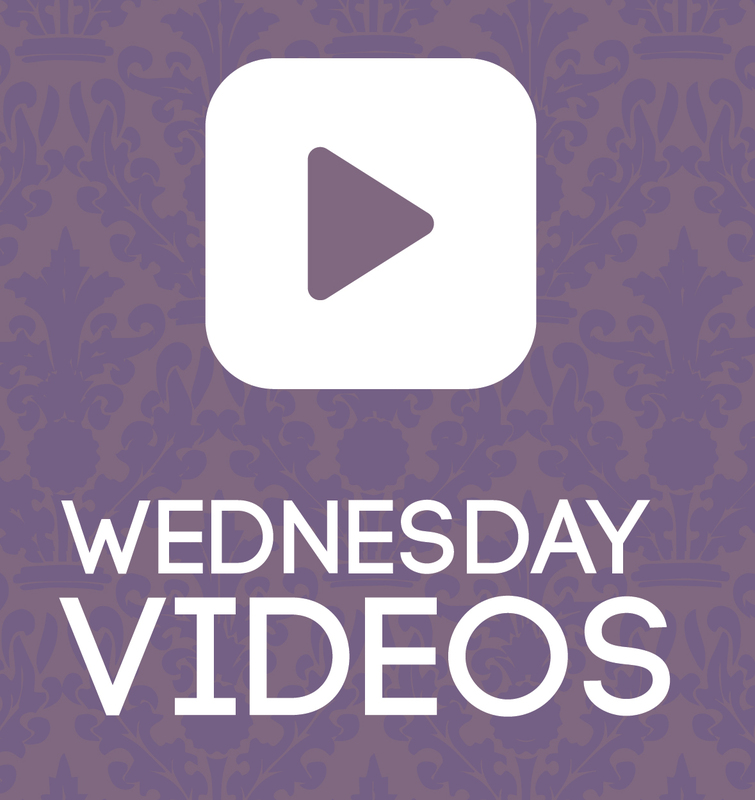 Friday Book Club: A Short Film About Annabel Lee, Plus Links! During our real live book club, the one where we are face to face as opposed to online, we had a great discussion about the issue of race in Poe’s works. One of our members sent these links to some thought provoking essays on race in Poe’s stories. Check them out! Starting next Friday, we’ll be examining Bram Stoker’s novel Dracula. Be prepared to think about the roles of women in Victorian times, Victorian fears about immigration, Victorian fears about disease, and how those fears still apply today. Or, you know, just hang out for the excitement of the gory, creepy, disturbing story that has influenced culture from the Victorian Age right up until today! 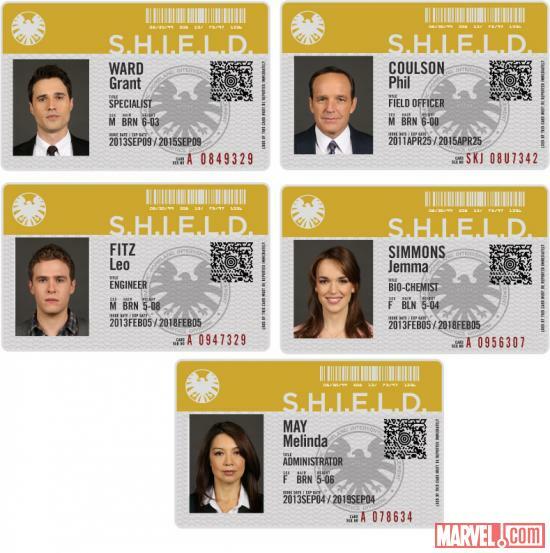 There are so many websites that provide high quality recaps of S.H.I.E.L.D. that I’m going to forgo the full recap and just give a few highlights every week. As a Joss Whedon fan, y’all know I’m not going to pass up the chance to write something about this show every week! So, let’s discuss the pilot. Did you love it? Hate it? I thought it was…OK. I enjoyed the dialogue and I thought the pilot did a good job of setting up the story. Of course the characters are completely undeveloped but they are all, well, lined up, ready for Things To Happen. Were I not already a Marvel/Whedon fan, I’m not sure this pilot would have made me feel compelled to start watching the show. Since I AM a Marvel/Whedon fan, of course I can’t wait for next week. 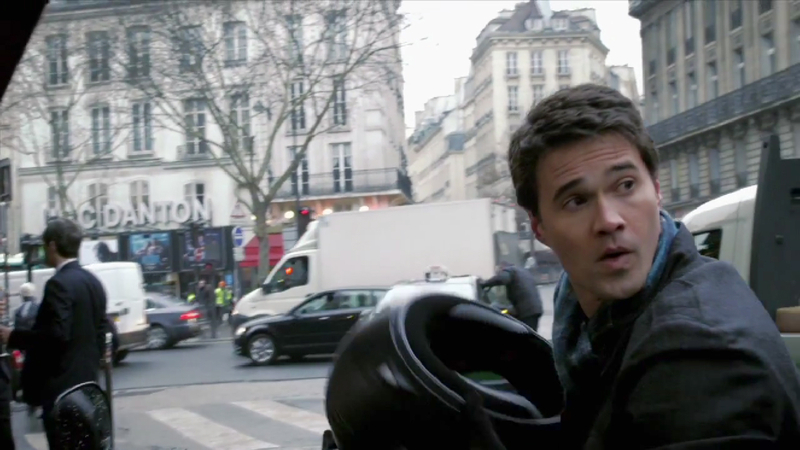 Grant Ward to Maria Hill: I don’t think Thor’s technically a God. Maria Hill: Then you obviously haven’t been near his arms. 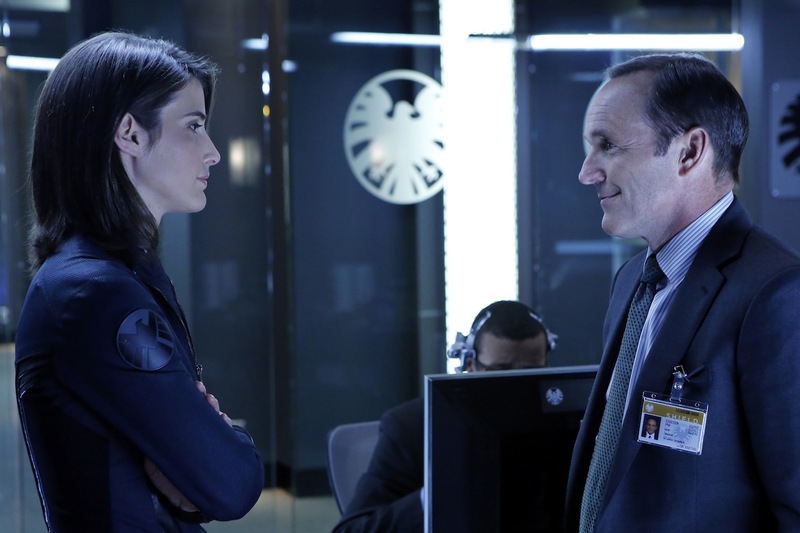 Does anyone feel a sudden, terrible urge to start shipping Maria Hill and Phil Coulson? No? Just me, then? 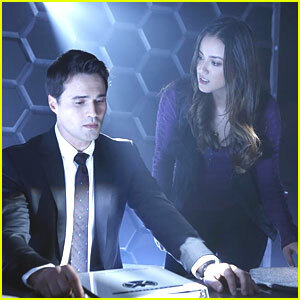 incidentally, I’m sure that eventually I’ll be all in to Grant Ward and his childhood traumas, but right now I find him incredibly boring. Pretty, but dull. Yes, I know – he’s very pretty and he speaks French. and yet, I do not care. 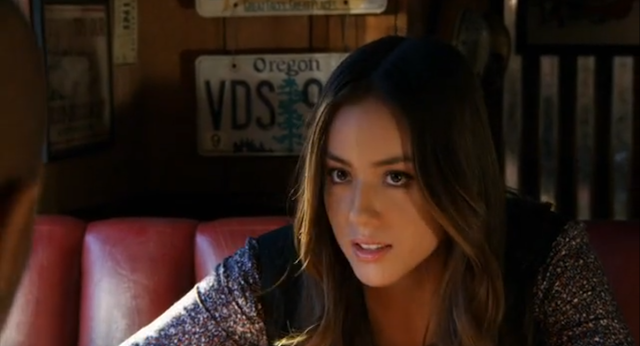 Skye: “Yes, I have an office! A mobile office…a van…in which I live…BY CHOICE! Oh Skye, everything you say is adorable. Never change, you overly cutesy and clever girl, you. And word about props – hey, it’s Coulson and his megaphone! And the car! LOVE THE CAR! 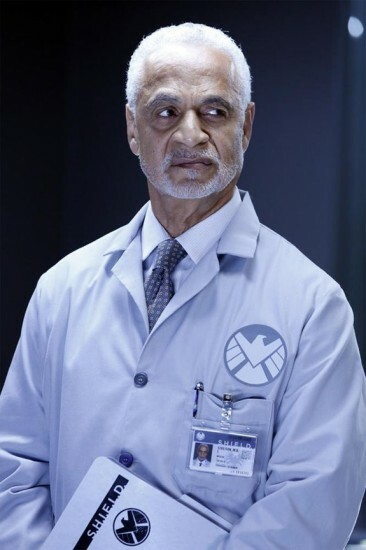 Ron Glass ruins all the scenes he’s in by inadvertently causing me to scream with delight whenever he shows up, thus ensuring that I miss all the lines. How soon will that wear off, do you think? Oh, don’t be mad at me, Ron! I’m only screaming as a sign of joy! 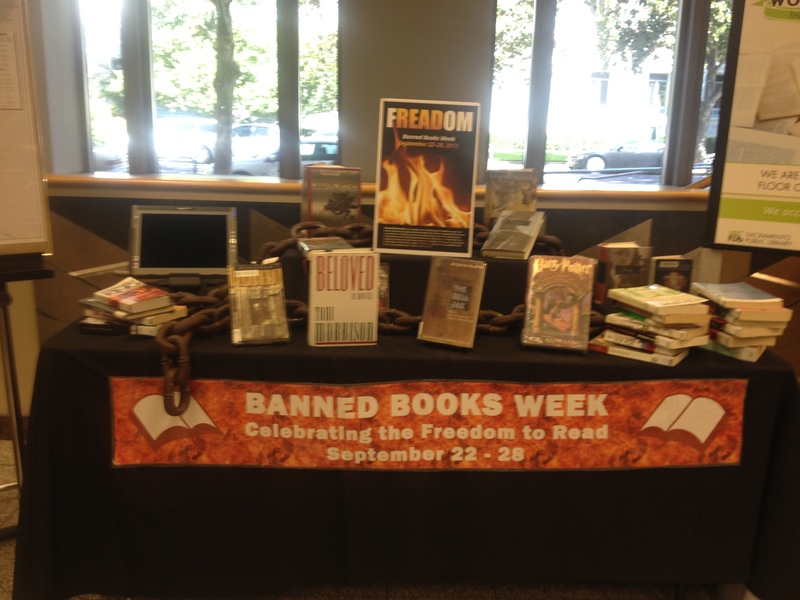 Super Displays and Stupid Decisions: It’s Banned Books Week! Congratulations, Twin Hickory, you won the Internet. Lest we forget, the most frequently banned or challenged book of 2012 was Captain Underpants. 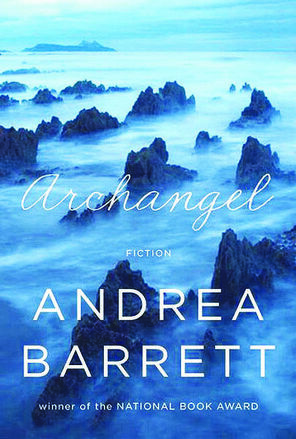 Want to read my review, first posted when the 2012 Banned Books list was released by the American Library Association? You can find it here! I posted an excerpt from this video earlier. Than I heard the interview in its entirety and my brain blew up. In a good way. This month’s installment of “History’s Hidden Heroes” does double duty as a book review. 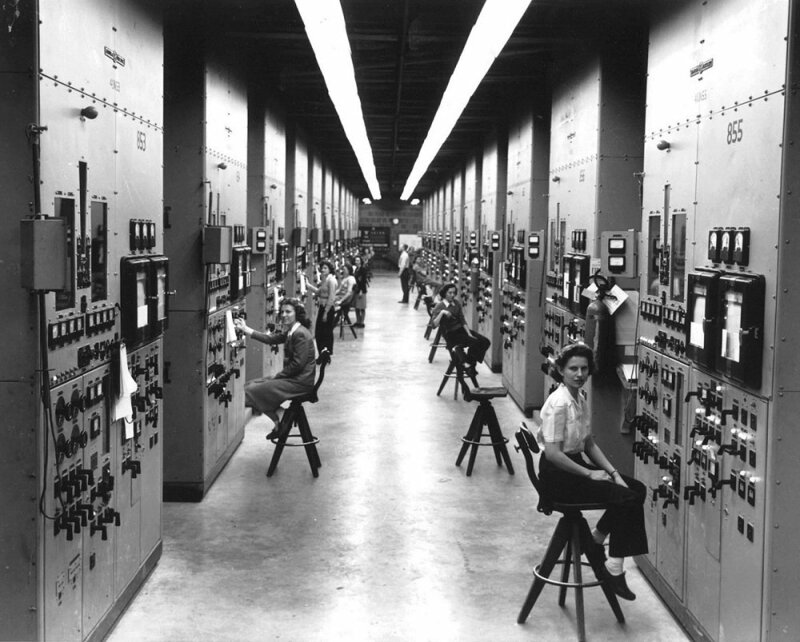 The Girls of Atomic City, by Denise Kiernan, sheds remarkable light not only on the women who worked as scientists to develop the atomic bomb, but on the tens of thousands of people, many of them women, who worked behind the scenes to make it happen. 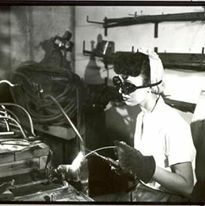 The Girls of Atomic City tells the story of the women (and men) who moved to the fabricated town of Oak Ridge, Tennessee during WWII. This town housed three huge factory plants that ran around the clock, seven days a week, and yet never seemed to make anything. It housed 70,000 people at its height, none of whom knew why they were there or what they were working on. 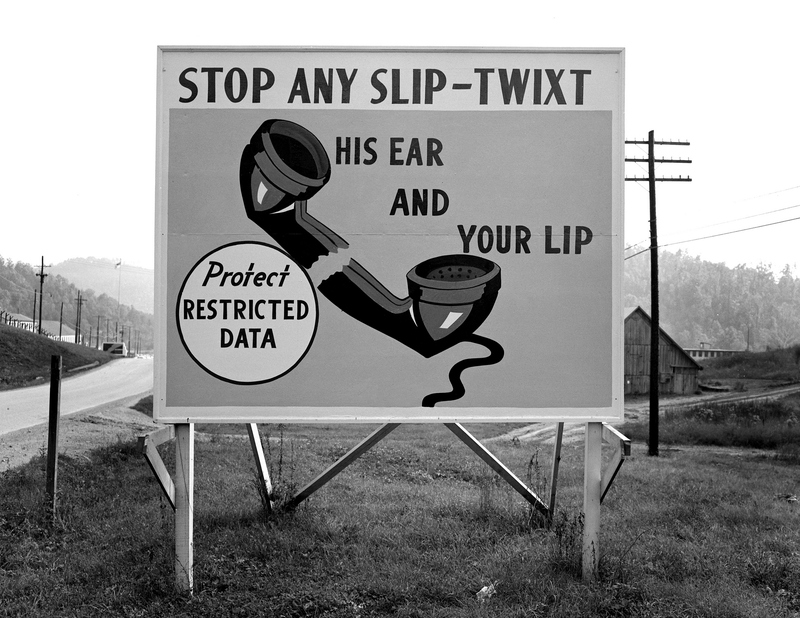 All they knew was that they were working on a government project that would hasten the end of the war and that was top-secret. The women that Kiernan focuses on include a janitor, a secretary, a plant worker who checks enormous pipes for leaks, a nurse, a chemist who works directly with yellowcake uranium, and a statistician. Along the way, she also talks about some of the female scientists who worked more directly with the theories behind atomic fission, including Ida Noddack, Lise Meitner, and Elizabeth Graves. You wanted your R high. That was better than Q. There was a charge near the bottom of the D unit. Something was vaporized. There was a Z. The E box caught everything. Open the shutters. Maximize the beam. Supervisors spoke of striking a J…and if you got your M voltage up and your G voltage up, then Product would hit the birdcage in the E box at the top of the unit and if that happened, you’d get the Q and R you wanted. Racism. African-American workers were segregated. They could not use the pool or the movie theater or most of the recreational facilities. They could not work alongside white workers. The nuclear scientist J. Ernest Wilkins, Jr. was unable to work at Oak Ridge because he was African-America. Married couples who were African-American were not allowed to live together, visit each other at each other’s residences, or bring their children. Science and ethics. Obviously this is an issue given the fact that the entire purpose of the project is to devise a weapon that can vaporize tens of thousands of people in an instant. But in addition to this obvious problem, there’s horrifying descriptions of unethical testing of the effects of plutonium on a black man named Ebb Cade. HORRIFYING. With regard to the ethics of the bomb, the book is non-judgmental but it does address the deep ambivalence that many workers felt once they realized what they had been working on. Good morning, friends. The housewives of Oak Ridge are speaking to the outside world from beyond the barbed wire fence. Yes, we’re still here. did you forget about us? We just wondered, because we didn’t find ourselves mentioned in the Smyth Report. We are the ones who do the chores for the men who make atomic bombs, and we bring up their children, bomb or no bomb. The kids are two years older now, and we are at least ten. That’s the way you grow old – fast, when the going is tough. Where this book really shines is showing us how many hidden heroes of science there are – not just in terms of pivotal scientists who are not well-known, like Noddack, Meitner, and Wilkins, but in terms of all the people behind the scenes who make science possible. We have a mythos of the lone scientist, toiling in his laboratory. But in real life science is a communal effort, even if it’s guided by a single mind designing the experiment. There are two problems with calling this column “History’s Hidden Heroes”. First of all, many scientists are actually very well known in their fields and in their countries, just not in the Western public eye. Second of all, the title suggests that these scientists are, in fact heroic, and science often has either unintended results or results that seem beneficial at the time but not so great in hindsight. 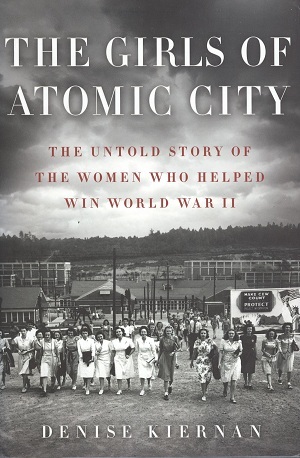 Girls of Atomic City takes a non-judgemental approach to the development of the atomic bomb, but the last section of the book deals with the mixed feelings of pride and horror that many people felt – from President Truman, who had no regrets, to J. Robert Oppenheimer, who supported the use of the bomb against Hiroshima but not against Nagasaki, to the many Oak Ridge workers who were relieved that the war was over, proud of their contribution to the war effort, and saddened over the loss of civilian lives in Japan. Although the author spends little time discussing the effects of the bomb on Japan, two things are clear: The use of the bomb caused horrific levels of death and suffering, and the use of the bomb permanently changed the face of politics and science. Although the author steers clear of this conclusion, I would argue that one lesson of the book is that blind obedience may make you complicit in atrocity. For me, one message of the book is that it’s important to ask questions, make noise, and refuse to be a cog in a machine that you don’t understand. 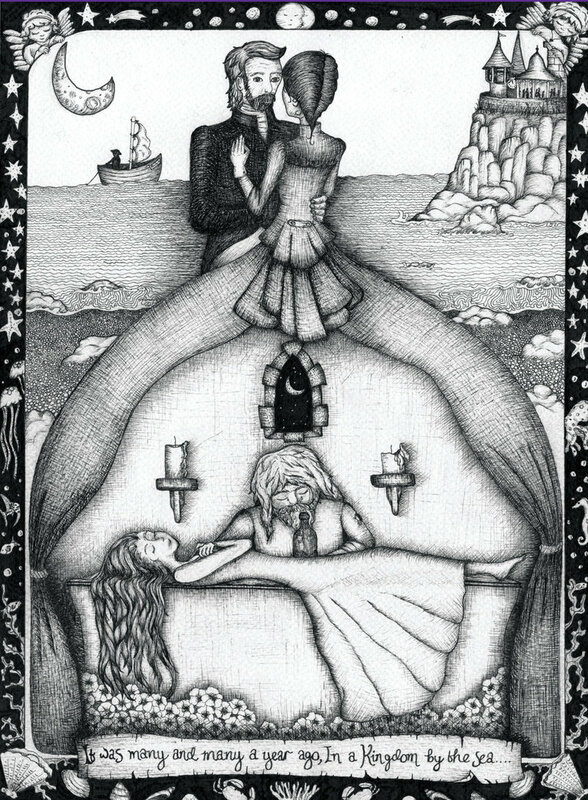 But the other, and more explicit message of the book, is that cooperation and dedication are powerful things. They can make bombs but they can also make and process and distribute the polio vaccine, and build International Space Stations, and invent the Internet. And that’s amazing.